Acupuncture is an ancient Chinese method for the treatment for various physical, mental, and emotional conditions including allergies. This treatment deals with specific points on the body that boost the immune system. With respect to location, these points perform different functions and are linked to different meridians of energy in the body. This may prove to be a welcome option for people who hope to avoid the conventional methods for treatment. It is done by the stimulation of various biologically significant points on the body in order to promote the natural healing process, hence addressing both the root (cause) and branch (symptoms) of the ailment. Allergies are one of the most common ailments that have a huge effect on a large percentage of the population. They have a direct effect on the immune system and the adrenal-stress handling system. These systems come under a high level of pressure and stress, which is catalyzed by the fast-paced life being lived today. Almost about one-third of the population of America is plagued by seasonal allergies. Using antihistamine drugs, the symptoms of these allergies can be relieved for the time being without tackling the allergy itself but side effects of these drugs make most people wary for this treatment. Most people suffering from these usually aren’t aware that their allergies are the result of a food allergy. After diagnosis, the most feasible solution appears to avoid the foods causing the allergy, but some people are allergic to many different kinds of food, whose deficiency can eventually cause diet related problems. 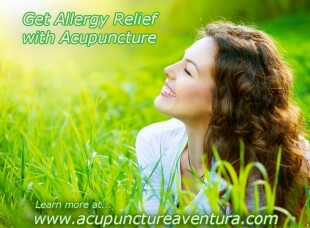 Acupuncture, combined with some Chinese herbs, is considered to be a reliable and harmless way to treat these allergies by boosting your immune system, strengthening your digestive system, and reducing your body’s response to specific allergens. There are diagnostic tests available to determine your specific food allergies. Even today, many practitioners use traditional Chinese medicine in order to alleviate symptoms related to allergies of the skin. The treatment involves acupuncture points that are stimulated along the arms, legs, and torso. Also, this method releases endorphins, which activate the immune and endocrine systems. The beauty of acupuncture is that a specific system is designed for every individual diagnosis. In order to perform this technique, the patient is evaluated carefully, and after establishing a pattern, the treatment is planned. In a study published in the journal, Annals of Internal Medicine, researchers tested the theory of the effect of acupuncture on patients with pollen allergies. It was concluded from that research that the patients who received treatment through acupuncture showed a high level of improvement in their allergy symptoms as compared to patients who were on antihistamines only. Acupuncture is based on the energy Qi (or Chi) which is the energy that gives life to all living matter. Implementing a method of treatment that is not only safe, but is also highly effective compared to conventional therapy will create the required balance between our internal system and the environment. In our center in Aventura Florida, we are happy to provide you with authentic treatment using this Traditional Chinese Medicine. Please feel free to call us at 786-537-7022 to learn more about our treatment for allergy.